At the laser eye care center of Dr. William S. Goldstein, we offer a comprehensive range of eye care services designed to meet the needs of patients of all ages, from the youngest member of your family to the eldest. We are particularly pleased to provide exceptional eye care for seniors at our Shelby Township, MI practice. Our eye care services for seniors encompass treatment for a variety of eye disorders and diseases, from classic “aging” cataracts to glaucoma. Our staff is specially trained to meet the unique needs of our senior patients; we treat them with the respect, dignity, and patience they deserve. 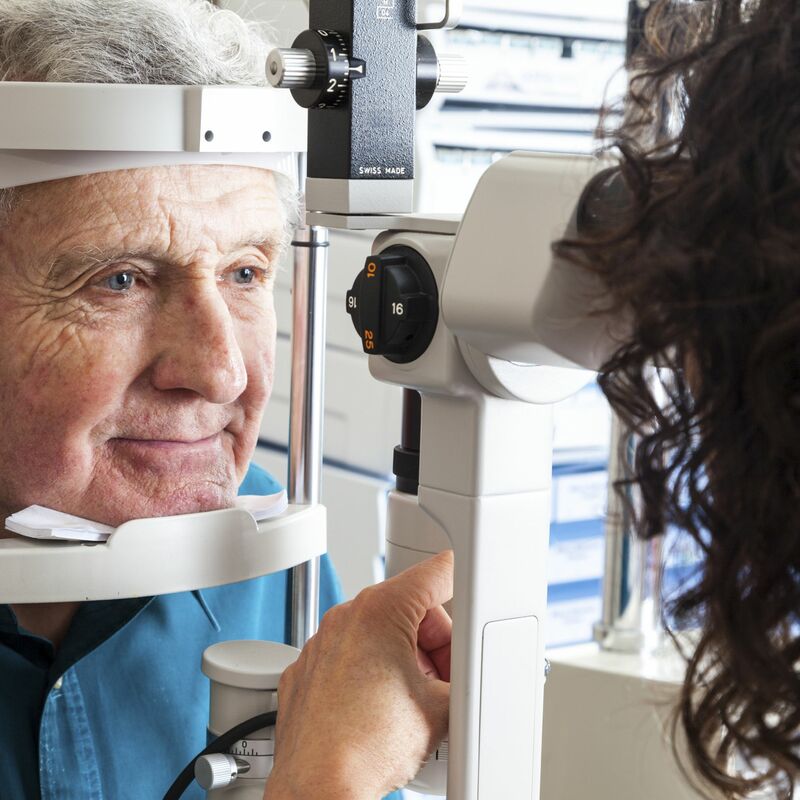 As with all of the services we provide, the eye care services we offer to seniors are administered with a compassionate, gentle touch that puts the patient’s safety, comfort, and satisfaction front and center. If you are a senior patient in need of high-quality eye care, or you have a senior family member in need of such care, we invite you to schedule a consultation with Dr. Goldstein today. Cataracts: Cataracts, in which the natural lenses of the eyes become clouded due to an accumulation of proteins, are particularly common among senior patients. In fact, by the age of 75, approximately half of all Americans have either developed cataracts or undergone cataract surgery. Surgical removal of the affected lens and subsequent replacement with an artificial intraocular lens (IOL) is the only way to treat cataracts. Dr. Goldstein offers advanced laser cataract surgery and a selection of premium, multifocal IOLs to ensure the best possible results for cataract patients. Age-related macular degeneration: As the name of this disease suggests, age-related macular degeneration is a condition closely associated with senior patients. The condition, also known as AMD, is characterized by a loss of central vision due to the degeneration of the cells in the retina of the eye. Although there is no cure for AMD, the progression of the disease can be slowed through medicinal therapy. Without treatment, total loss of central vision can result. Glaucoma: Although glaucoma can occur to patients at any time, patients above the age of 60 are at particular risk for the disease. In its early stages, when it is most easily managed, glaucoma tends to produce few if any symptoms. This is why it is so important for people who are at risk for the disease, such as those over 60, to undergo regular glaucoma screenings. Although there is no cure for glaucoma, the disease can generally be managed very well in its early stages with various medications and proper vigilance. To learn more about the eye care services that Dr. William S. Goldstein and his team provide to seniors, please contact our laser eye care center today.